Thor: Ragnarok is one of the most anticipated superhero films of the year, bringing back Chris Hemsworth as Thor and Mark Ruffalo as Bruce Banner/Hulk. In a recent statement by the lead actor, Chris Hemsworth said he asked Marvel if they could film part of the film in his home, Australia. “I asked if we could shoot in Australia, and thankfully the Marvel guys said they would look into it but couldn’t promise anything. To me, to be home again for more than two weeks would be fantastic. And it worked out. It was so good. It was so nice being there. There’s just such a familiarity with the crew and everything here. And I get to sleep in my own bed. But I also think there’s such wonderful talent here as well, in the cast and crew across the board. So it was fantastic. And the weather was brilliant. I don’t think we got rained out at all. It’s just been one of the best shoots I’ve been part of”. In Marvel Studios’ Thor: Ragnarok, Thor is imprisoned on the other side of the universe without his mighty hammer and finds himself in a race against time to get back to Asgard to stop Ragnarok – the destruction of his homeworld and the end of Asgardian civilization – at the hands of an all-powerful new threat, the ruthless Hela. But first he must survive a deadly gladiatorial contest that pits him against his former ally and fellow Avenger—the Incredible Hulk! Thor: Ragnarok comes to US theaters on November 3, 2017. 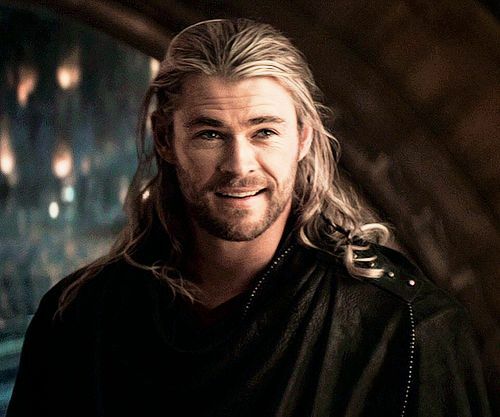 It is directed by Taika Waititi and stars Chris Hemsworth, Tom Hiddleston, Cate Blanchett, Idris Elba, Jeff Goldblum, Karl Urban, Mark Ruffalo and Sir Anthony Hopkins.